You know the old saying….. I have desperately needed new floor in my sewing room. Let me just say high traffic area and 3 sets of puppies. move child #5 to his college apartment. entire sewing room had to be emptied by Wednesday night. That is part 1 of the story. She then showed me a picture of a quilter’s estate sale. Tables and tables full of fabric treasures. This quilter was a longtime quilt shop owner. She has acquired 3 yards of every fabric to be able to use when she retired. So the past week or so I have been trying to put my house back together. I vowed not to put anything back in my sewing room that there was not room for. considered valuable by someone else. I am going to be sharing my treasures with you. I hope they will be priceless to the right person. 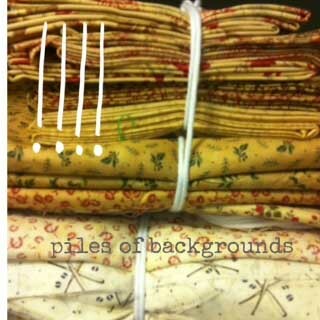 more fabric into my sewing room. 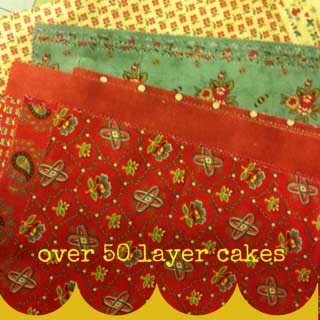 Lots of reds in this collection of assorted layer cakes. 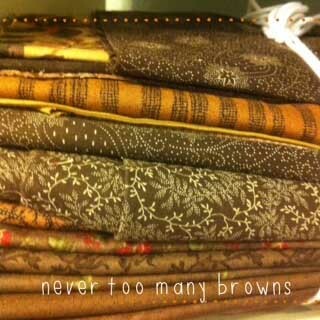 They are from assorted fabric groups. Leave a comment and let me know you can put these fabrics to good use. I will draw a name and post Day 2’s giveaway at 6:00 in the morning.